The Quantum X has a lot to live up to given the reputation which follows the long time classic RX-Q. Luckily, Arai is not one to skimp and has again improved upon a helmet which has lived on the top tier for many years. 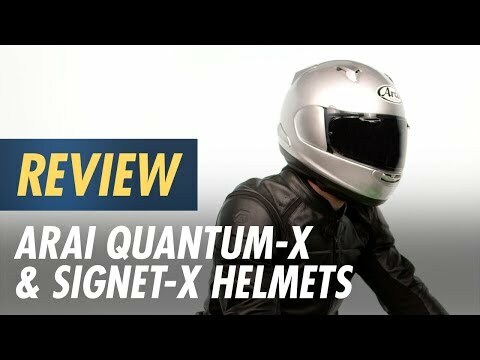 The Quantum X helmet brings back the widely loved fit of the RX-Q, which features a balanced shape with a little extra room on the sides, making it a great fit for those with a slightly more round headshape. If you have a more intermediate oval headshape, you can simply install a Corsair X head liner to convert the Quantum X into a slightly longer fit. Note: Images show this graphic on a different model.